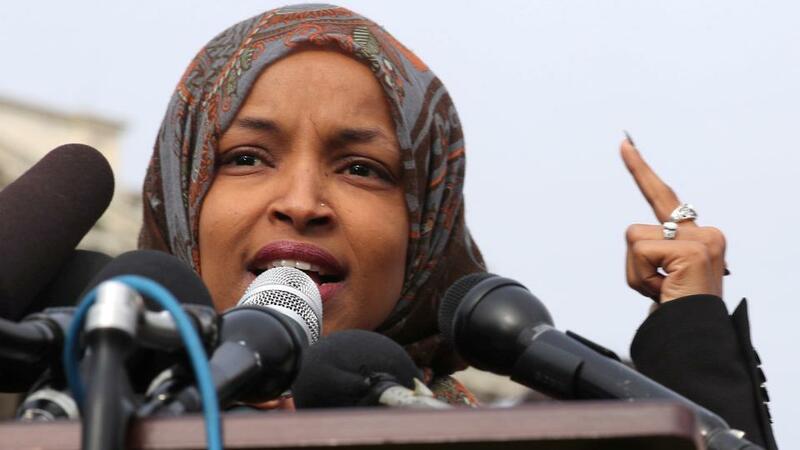 IlIlhan Omar took to Twitter on Monday spread many misleading claims and falsehoods about President Donald Trump, his administration’s immigration policies, and Kirstjen Nielsen, the outgoing Secretary of Homeland Security. Omar exploited the news of Nielsen’s resignation by attacking the Trump administration with several innuendos and false imputations. Omar claimed, without evidence that Nielsen was responsible for “locking toddlers in cages,” the death of a migrant child, and “repeatedly lying” about the migrant crisis involving children. Omar also claimed that acting DHS Secretary Kevin McAleenan, who is the Customs and Border Protection commissioner and the incoming Acting United States Secretary of Homeland Security, oversaw physical separation of children from their families at the border, oversaw CBP agents fire tear gas “on a crowd of migrants seeking asylum,” and failed to disclose the death of a migrant child to Congress. Now this President wants someone even “tougher.” This should be a warning to all who believe in justice. 1. Omar claimed Kirstjen Nielsen was responsible for “locking toddlers in cages.” That is an old false claim which was helped spurred along by leftists using an image of a sad looking child inside of some form of cage. The image turned out to be a staged protest at the Dallas Texas city hall as can be seen in this photo album on facebook. 2. Omar claims Kirstjen Nielsen was responsible for the death of a 7-year-old girl. The girl did not die because of Nielsen or government mismanagement. An autopsy revealed that she died from sepsis which was caused by infections the girl incurred during the grueling 2,000-mile journey north to the U.S. from Central America. The girl’s father said he had no complaints about how Border Patrol agents treated him and his daughter. 3. Omar claims that the Trump administration enacted the policy of separating children from parents and that Kirstjen Nielsen lied about it. The Trump administration was not responsible for a policy that separated migrant families at the border and nobody has ever tried to cover it up. This policy has been in effect since a 1997 federal government settlement and appeals court ruling. With the increase of immigrants being incarcerated until their court hearing, this meant that more children were separated because they can’t follow their parents to jail or court. This is true for all children in the U.S.
4. Omar claims that Acting United States Secretary of Homeland Security Kevin McAleenan oversaw the CBP when it deployed tear gas against a crowd of migrants. She is asserting that they simply launched the gas agains them for seeking asylum. However, the truth is that CBP agents deployed the gas as a form of riot control because the migrants became violent and were throwing rocks and other projectiles at them. 5. Omar claims that McAleenan did not disclose the death of migrant children to Congress, attempting to make it sound like he intentionally tried to cover it up. However, the truth is, while testifying to Congress, the subject never came up. He was never asked about any deaths and it was not relevant to the testimony. 6. Omar claims that Trump referred to migrant asylum-seekers as “animals.” This was a lie that was widly circulated in May 2018 because of a video that CSPAN edited out of context. Recently, the video started make rounds again as lying leftists, like Omar, make the same claim again. The video is completely misleading. Trump was talking about MS-13 gang members, not migrant asylum-seekers. This is the new face of the Democratic Party folks—just another liar.